hey TMK, yeah, wow, quite the storm here . . . Thanks for the comments people. 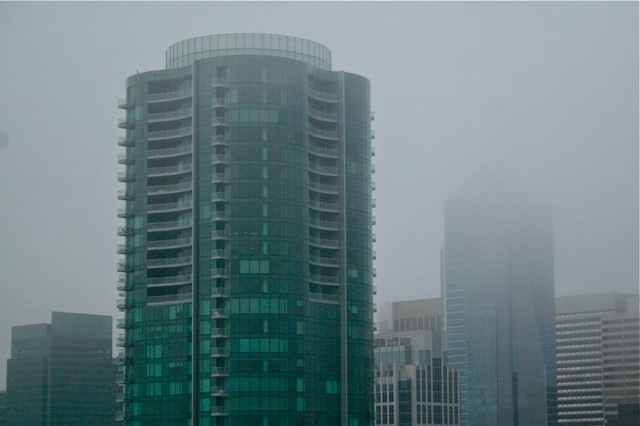 I took this shot a couple of weeks ago from the Bay Bridge — I very much liked how the green glass building was muted by the fog.